Parents’ written descriptions (average length = 211 words) of children between the ages of 3 and 9 years were collected on a password-protected website (n = 680). The presence of the 24 character strengths in the VIA Classification and the level of child’s happiness were coded with content analysis. Descriptions were rich in character language (average strengths mentioned per description = 3.09), and coding was reliable. 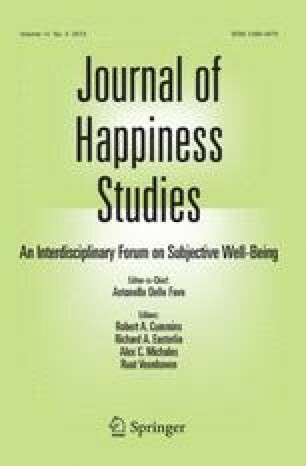 Consistent with previous research with youth and adults, the character strengths of love, zest, and hope were associated with happiness; gratitude was associated with happiness among older children. The early development of character strengths and possible ways of fostering them are discussed.